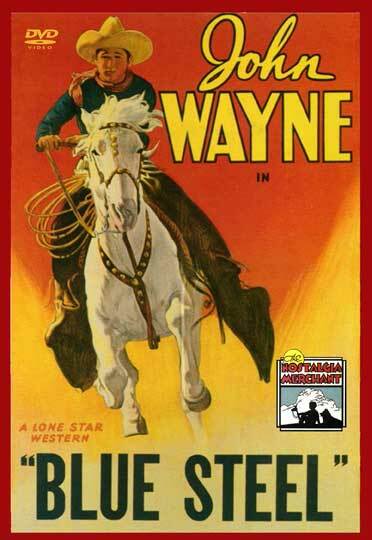 Starring John Wayne, Eleanor Hunt and Gabby Hayes. up with the man and later they learn that Melgrove, the towns leading citizen, is trying to take over the area’s ranches by having his gang stop all incoming supply wagons. With the ranchers about to sell to Melgrove, the two newcomers decide to bring in provisions and the fight is on! 1934 – BW – 54 Min. DVD, Digitally remastered.